Hi everyone! I am so excited to share this new product with you!! (plus it’s been like an eon since I’ve been on here–I’ve missed you all so!). So…I first learned about now!Board from Erin Klein’s fantastic and comprehensive blog, over at Kleinspiration. I was then asked to review the product and was ecstatic to try it out! 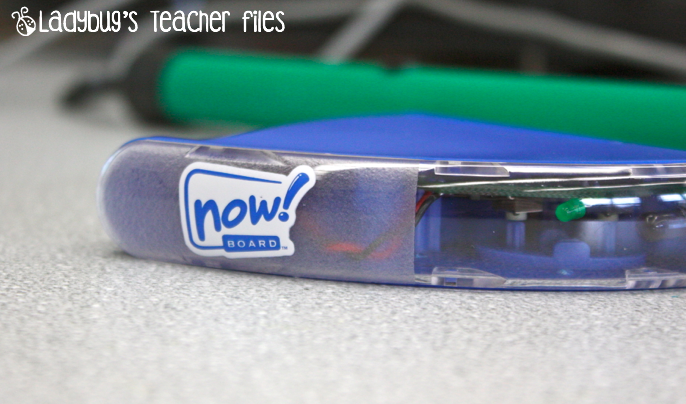 The now!Board is a technology created to turn any flat surface into an interactive whiteboard (you do need a computer and projector in order to use this tool). And that’s it! It only took me a few moments to get everything up and running. And once it was running…it was amazing! I think the most exciting thing about this technology is that now!Board has already changed how I use the Internet for instruction. 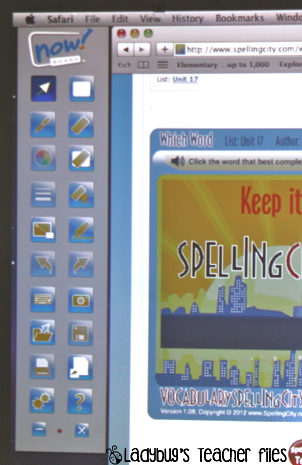 For instance, my students have always used Spelling City on their own or with partners. But they tended to gravitate to the same basic games, since some of the other games were a bit more challenging to complete on their own (language-wise). With the now!Board, we are able to work as a class on some the more difficult games that focus on word meaning. And we don’t just play the games. We stop, discuss strategies for finding word meanings, circle and highlight key words, and so much more! There are so many wonderful (and free!) interactive websites out there. 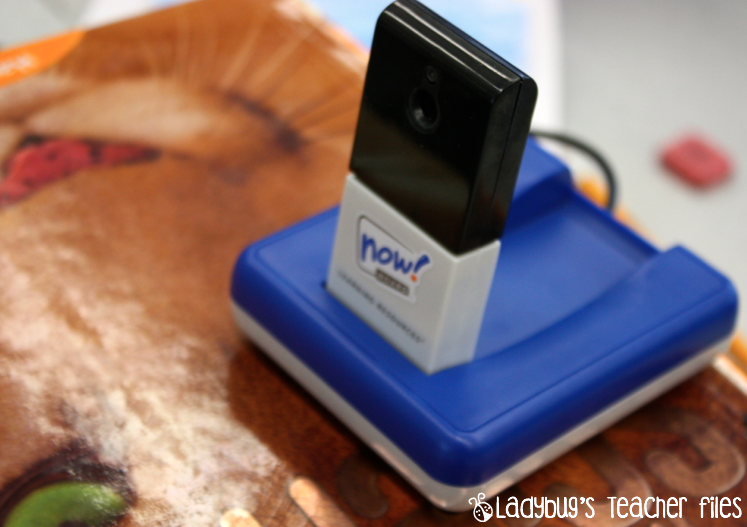 With the now!Board, there are countless possibilities to enhance student learning. In all honesty, I can’t remember the last time I was this excited about a piece of technology (and you know I love technology!). One more fantastic thing about this product! Once calibrated, it stays calibrated! I don’t have any other interactive whiteboards in my classroom, but I have used some in the past that lost their calibration from a little movement. I was delighted to discover this is not the case with now!Board. I’ve had some students bump into the table where the camera is set up (I’ve cautioned them but kids will be kids, right?) and it doesn’t matter! It stays calibrated!! I love it! So, this product will be available this April and will cost $499. If you are interested in learning more about now!Board, you can access the website via the green link above. 2. Follow Ladybug’s Teacher Files (or leave me a comment saying hello if you already follow my blog–I miss talking to you guys!). The winning name will be announced on Sunday, February 26th! P.S. My sweet friend Cheryl over at Primary Graffiti is having the same giveaway, she announced hers yesterday–be sure to head over to read her review and enter her giveaway as well…more chances to win! Thanks so much for stopping by and reading my first review (squeee!!). I like now!board on facebook. What a cool idea! I like now!Board on Facebook and I am already following your lovely blog! What a cool piece of technology! I did both! This sounds awesome! Thank you for posting this. It is just what I need! YAY! Your first review was fabulous! You sounded like you've been a product reviewer for eons. Sounds like a cool product, too. I'd love a chance to win a Learning Resources gift card. They have TONS of stuff I'd like to buy. I won't take up your giveaway space with my general chattiness, but I wouldn't miss a chance to say HI either! I loved reading your review. 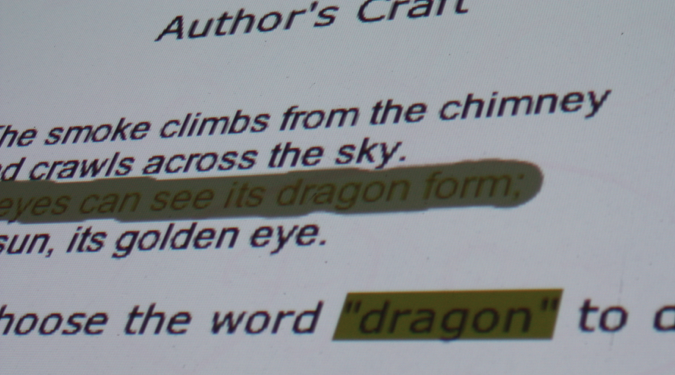 I plan on working with PDF's and highlighting this week with scholastic news articles and text features. Jenny from Learning Resources emailed me today after reading my review and says they are working on becoming a DonorsChoose partner to get the now!Board available to more folks. I'm going to create a follow up post this week about her news. Exciting. I will mention your review when I post. I'm a blog follower! I love the wand that goes with the now!Board. WOW! Nowboards are WAY cheaper than Smart/Promethean boards! Cool! I liked now!Board on their Facebook page! I follow Ladybug's Teacher Files! This looks amazing!!! You lucky duck!!!! Whatever will my overhead (TODD) think if I get one of these fancy things???? Of course, I follow you!!!!!! You are one of my faves!!!! Hello 🙂 Hehe. It looks soooo fun! I am already a faithful follower!! 🙂 I love the concept of these Now! boards!! I "Like"d now!Board on FB. I'm definitely a follower and your review sounds great! I am already a follower and would love this totally cool tool. I liked now!board on fb. I like em on FB! I liked them on FB. This would be so much nicer than my Mimio. IT gives me fits ALL the stinkin time. I will have to tell our tech guys about this! I already follow your blog Kristen, because quite frankly, YOU ARE AWESOME! So jealous that you and Cheryl both got to try these out! I'd LOVE to win one, since I don't have a Smart Board in my room, nor do I have access to one for my room! Oh and I forgot to say I also liked Now!Board on Facebook! I like Now! Board on facebook. We've missed you Kristen! And girl, you already know I follow your blog! Love this cool tool…I'm keeping my fingers crossed! I like now!Board on FB! It looks awesome! I follow your blog. I always enjoy reading it! I follow, I follow!!! What a fantastic tool! Super excited about it. Can't enter with Facbook, because I am not on it, but I am crossing all my fingers. I liked now!Board on Facebook! What an amazing looking tool!! I liked now!Board on Facebook! I have been a follower of your blog!!! Love it! This would be soo amazing to have in my classroom. We don't have smart boards but I would love to be able to bring more technology into my classroom.I hope you have a great week! I like now!Board on Facebook! What a neat technology gadget that isn't overwhelming like the Promethean's! I have very limited technology in my room this year and it's killing me. I've moved schools which put me on the bottom of the totem pole for cool techy things. I'd love to get my hands on this little gadget! I've followed your blog for quite awhile now and love it! I liked now!Board a few weeks ago. What a great technology tool. I follow your blog as well. Thanks for the great ideas and topics you have to share. I liked now!Board on FB! I follow your blog! of course! This looks so much cooler than the "EBEAM" we have (that doesn't work :P). This would be sooo cool for the classroom! Hey! I follow your blog and now!board. Really cool idea!!! I like the now!Board. I want the now!Board. Great blog that I will follow. Thanks for sharing! I am already a follower of your blog. 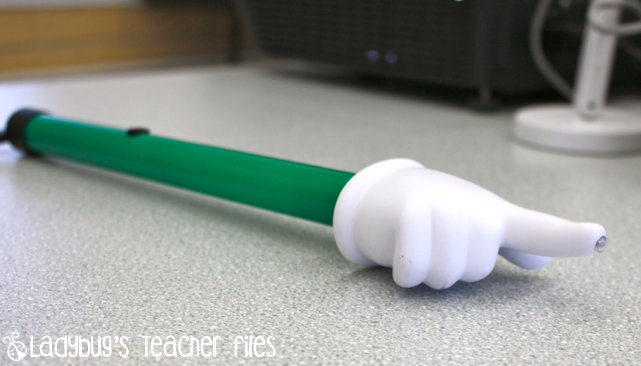 What a great tool to have in the classroom! I have been wanting a smart board for so long now. 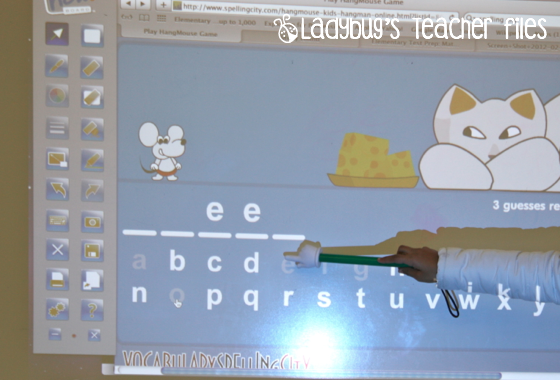 The now!Board is the perfect way to meet my classrooms needs. Thanks for sharing! Now I'm also following your blog! Yay! Love your website! I need a Now!board! Showing this to my administrator tomorrow! Thanks! Just found your blog. Thank for all the wonderful ideas. I'd love a now!Board for my classroom.